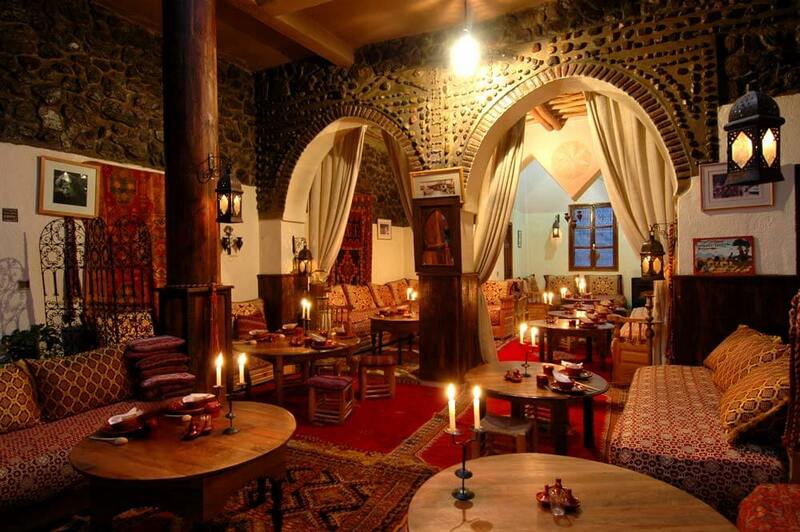 Toubkal Lodge is one of the few places to stay in the Atlas Mountains that combines the atmosphere of a traditional lodge with the comfort of a modern hotel. 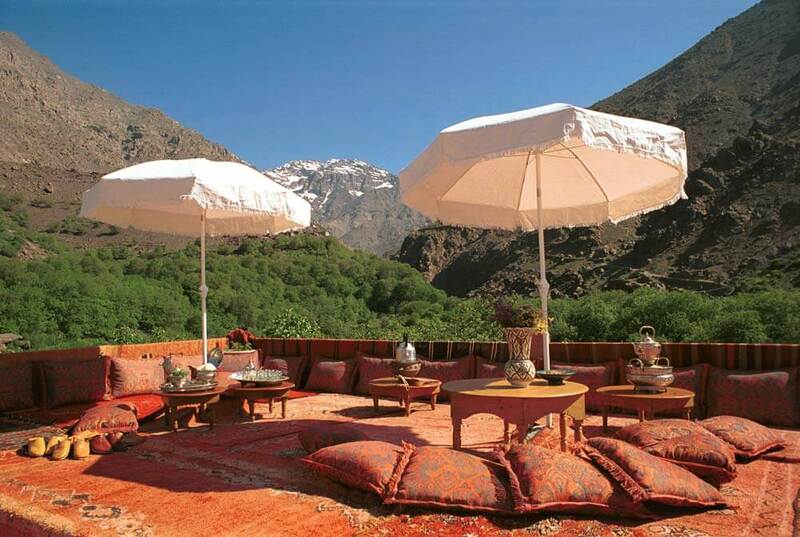 Stay at Toubkal Lodge, perched high in the majestic Atlas Mountains, on your luxury, tailor-made holiday to Morocco and it won’t be just the altitude that leaves you breathless. 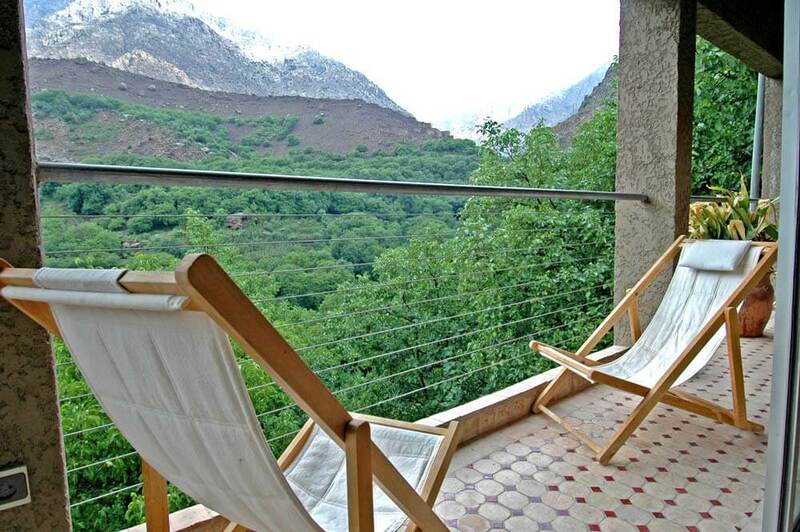 The views from the hotel’s sun terrace are jaw-dropping, eye-stretching, astonishing. 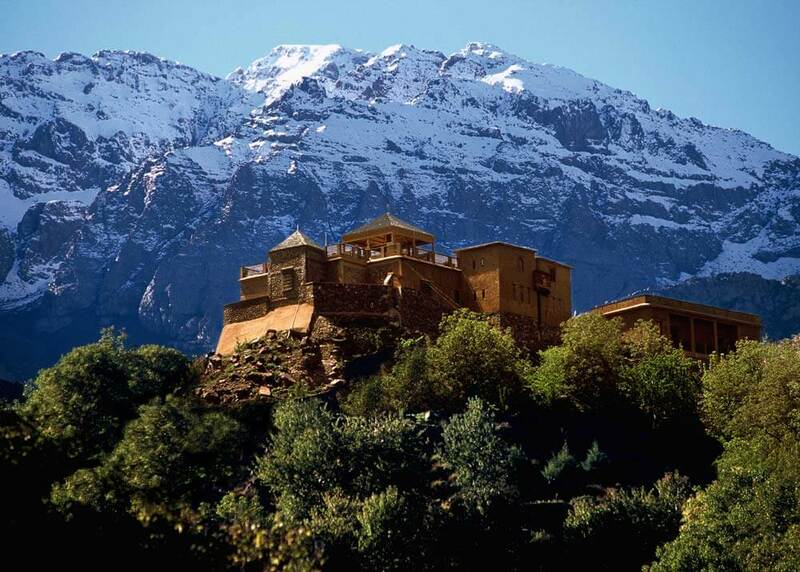 On one hand you have North Africa’s highest mountain – Jebel Toubal – the snow on its summit glistening gold in the morning sunlight. On the other the snow-capped peaks of the Koubal Massif march off into the distance. It’s a magnificent vista. 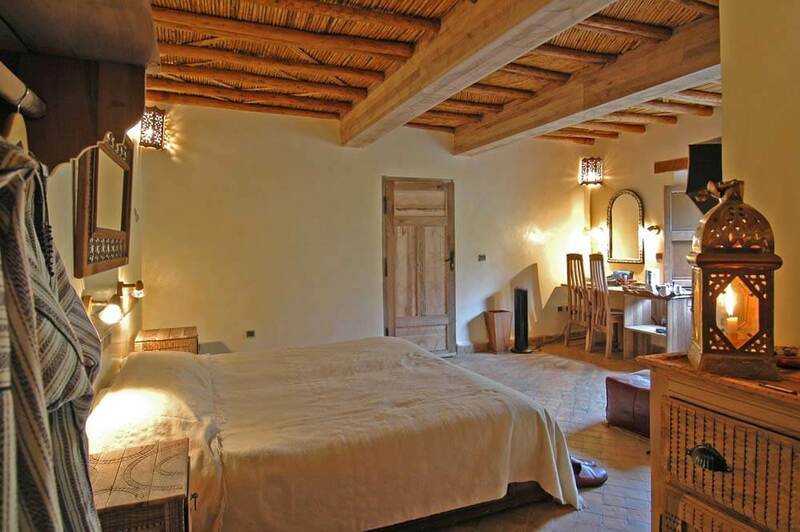 Look down and the dizzying Azzaden Valley falls way beneath you, revealing timeless hill villages like Id Issa; a tiny collection of stone cottages poised on the edge of the valley. 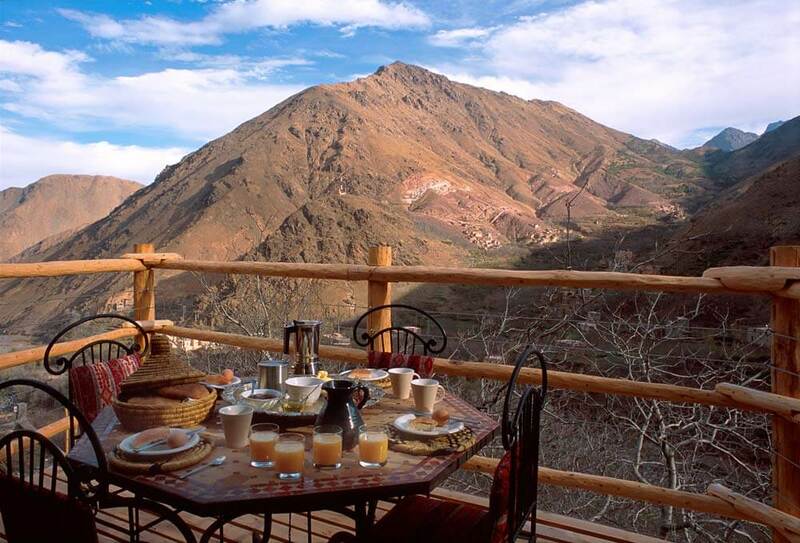 Take a series of treks from Toubkal Lodge and the vistas seem to change with every step.